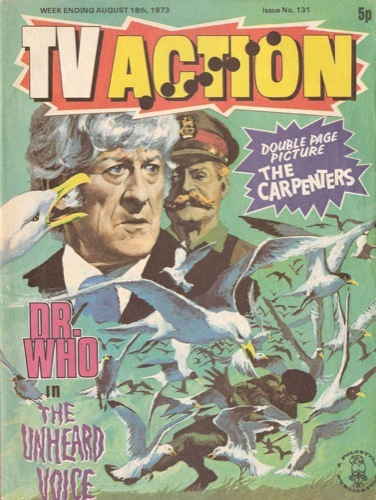 Exactly forty years ago this month, TV Action comic finally came to an end, brining to a close two and a half years of Doctor Who strips. 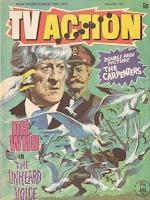 Doctor Who lived on in TV Comic, it’s home before taking up residence in Countdown in February 1973. 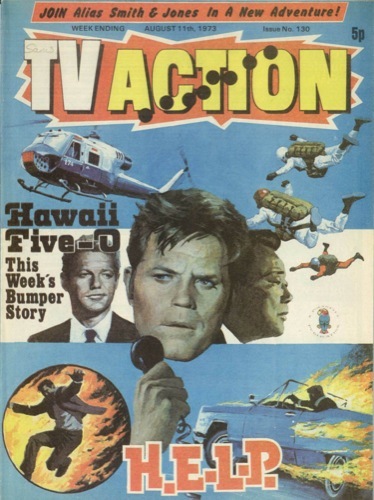 It never quite reached the heights seen in Countdown and TV Action, sometimes even rehashing old strips with the latest Doctor’s face pasted over the top! In issue 129, the letters page has a curious request to see a photo of Azal from The Deamons. 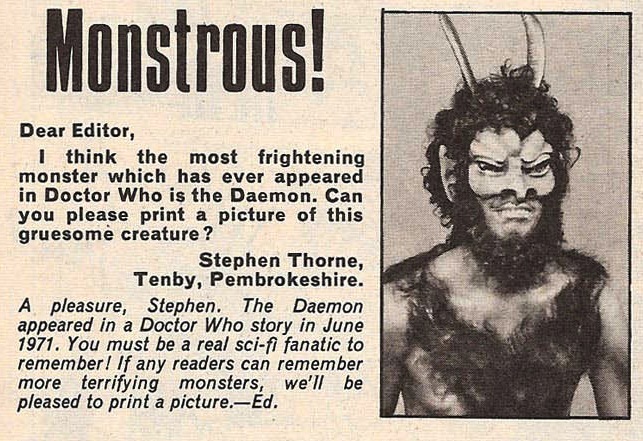 The editor kindly obliges to Stephen Thorne’s request. 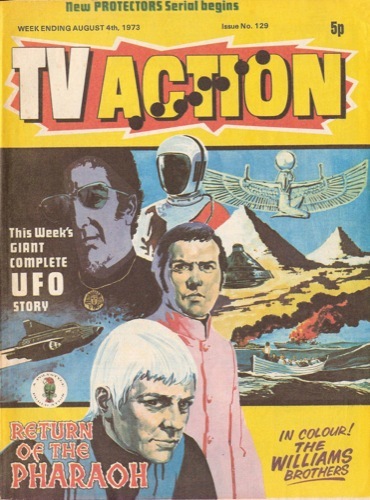 HOLD ON - didn’t Stephen Thorne PLAY Azal??? 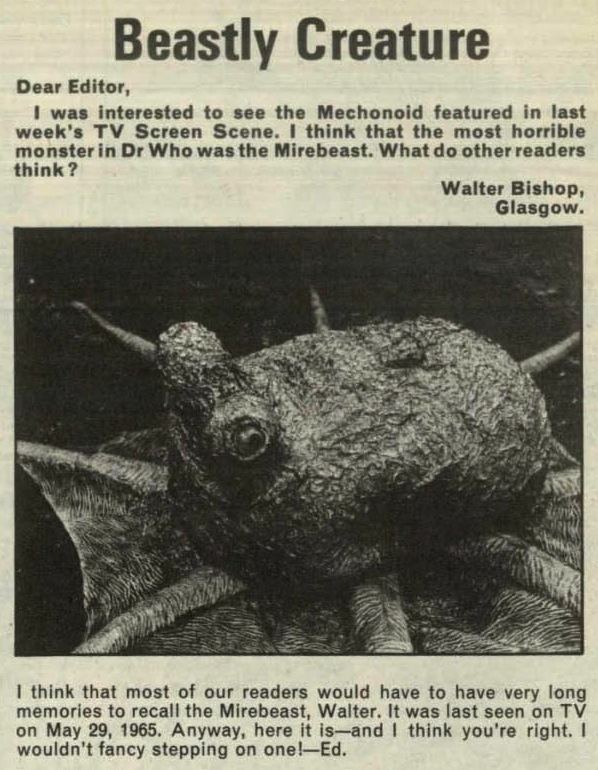 Later, in the TV Screen Scene page, there is a Spot The Monster quiz with a photo from The Chase. 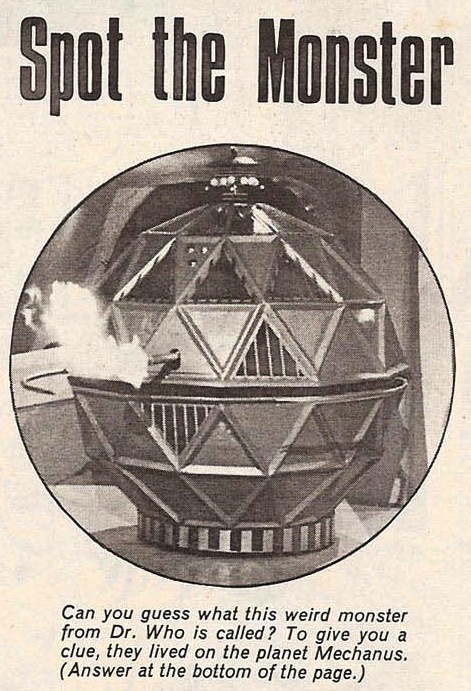 The answer written upside-down at the bottom of the page reveals it to be a Mechanoid! 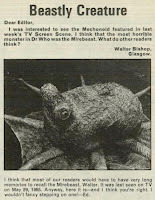 In issue 130 the Spot The Monster from the previous issue was discussed int he letters page, with reader Walter Bishop thinking the Mirebeast (also from The Chase) was more frightening. Reader Nicholas Ridley also asked to see a photo of Jo Grant, bemoaning that there hadn’t been a colour photo of her. The editor obliges - with a black and white shot! 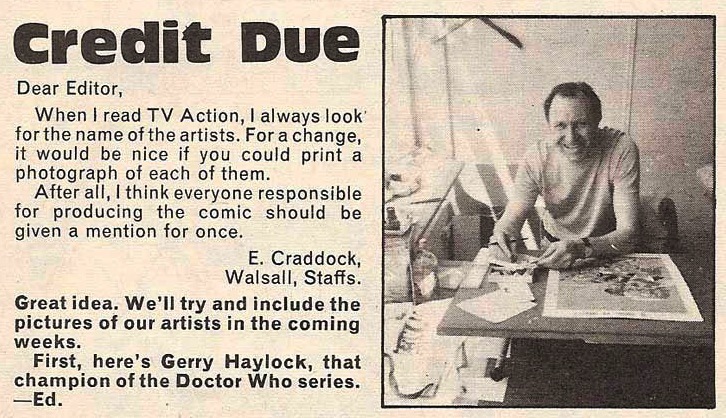 In issue 131, a long overdue nod is given to strip artist Gerry Haylock after reader E. Craddock asks to see the faces behind the strips. 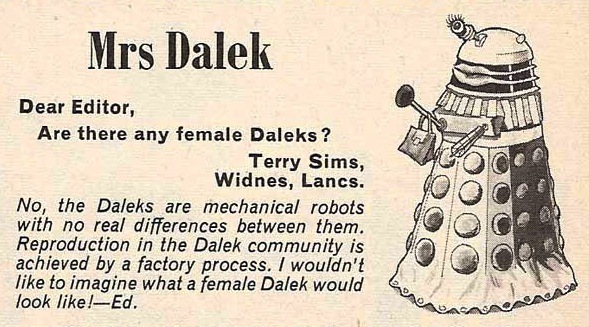 Also reader Terry Sims asks if there any female Daleks! 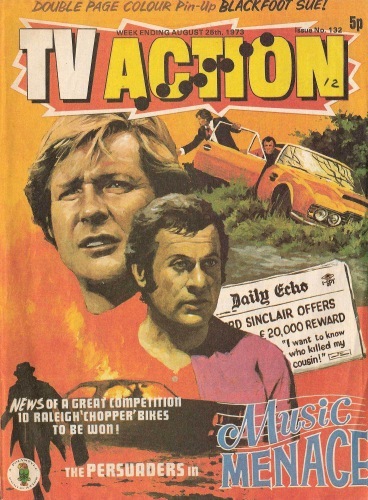 In issue 132 - the FINAL issue of TV Action - there are two hints to the imminent changes afoot. 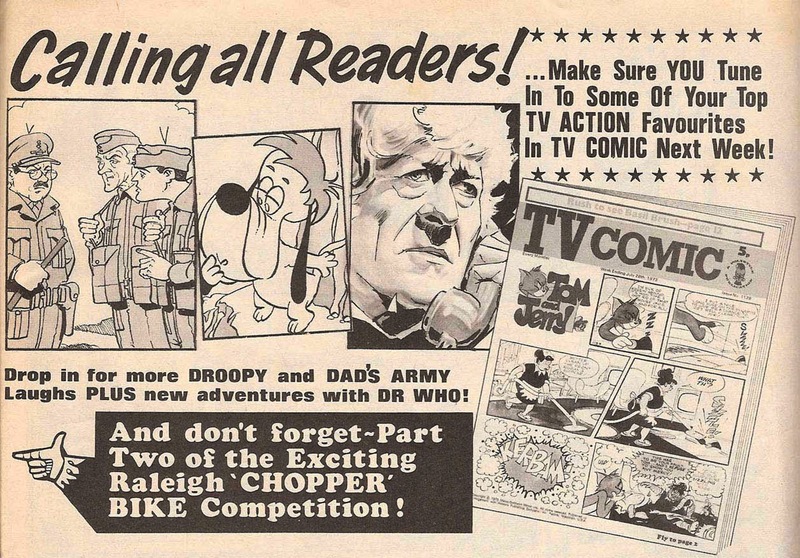 On page 2 there is a trail for a new Doctor Who strip, but in TV Comic. 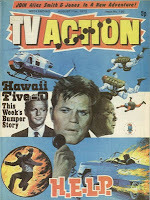 And on page 15 there is a call to all readers to start buying TV Comic to continue to follow their favourite strips.